Yesterday I was chatting with a friend about her love of all things Marimekko. 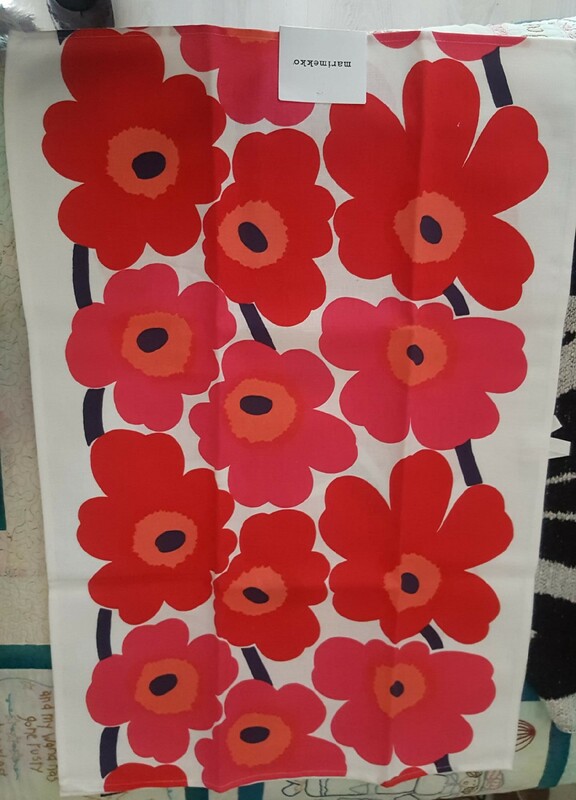 I told her I had several items sporting the iconic Unikko (poppy) logo for which they have become so famous. For a small country Finland has become known for some very distinctive brands. The fabric designer Marimekko is one of them. It is internationally recognised. Years ago when I was young and beautiful, someone gave me a navy blue and white Marimekko shirt dress. I wore it to death. It seemed to last and last and last. (I probably should have kept the fabric and used it to make something else.) It seems I was in good company. In 1960 Jackie Kennedy bought seven Marimekko dresses and was pictured on the cover of Sports Illustrated in a red sleeveless number. That must have catapulted Marimekko into the troposphere. 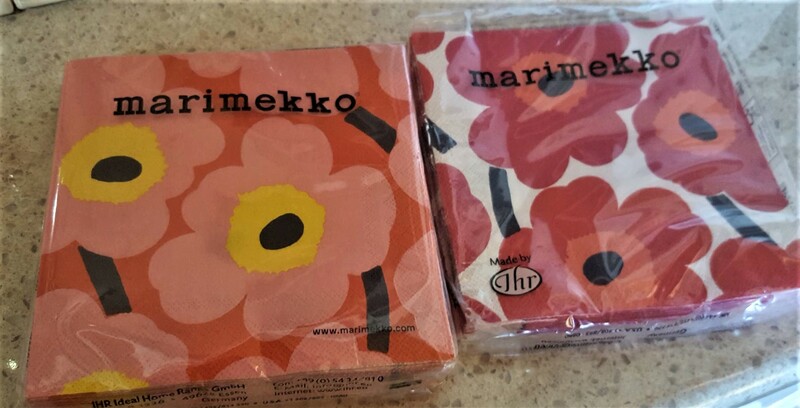 The story of how Marimekko came into being is an interesting one. Founded in 1952 by Armi Ratia, she originally banned flowers in Marimekko prints. However, she was enchanted with artist Maija Isola’s collection of unique floral prints, purchasing eight of them. In 1964 Isola, in defiance of her boss, unveiled the Unikko“poppy” pattern, circumventing Armi’s mandate against floral motifs. The print became a mainstream hit. And that is how the poppy came into being as the Marimekko icon. 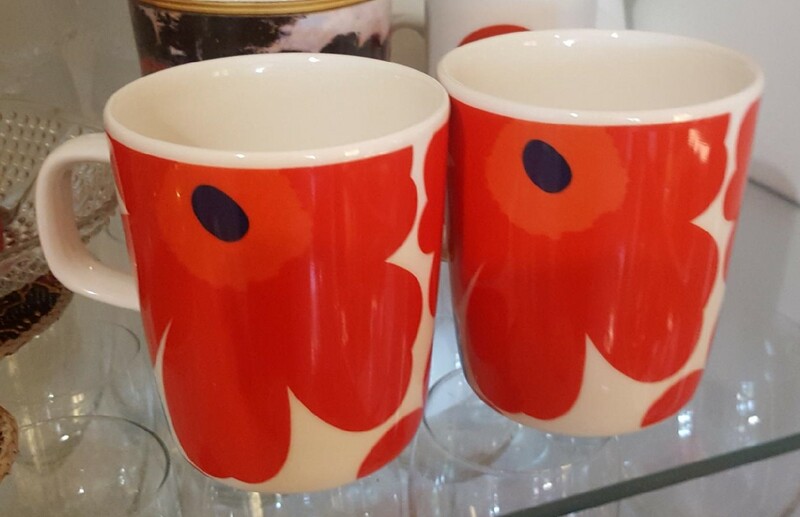 Nowadays Marimekko has expanded its range from textiles to ceramics, glassware, clothing, accessories and homewares. On one of our roadtrips to Victoria we came across two stores, called Kiitos (Finnish for thank you) selling marimekko items. To the horror of The Retired Husband, I insisted we stop at both. We did. I looked. I bought. Armi Ratia, born and raised in Karelia on the gulf of Finland in 1912, graduated as a textile designer in 1935. In 1939 she moved to Helsinki with her husband Viljo. Initially working as an office assistant and advertising copywriter, in 1949 she and her husband bought Printex, an oilcloth company. In fact, I can remember mum giving us a Marimekko table oilcloth we used for years. Armi was drawn to bold, bright and distinctive prints, purchasing the colourful patterns of avant garde female artists like Maija Isola who worked with the company for 38 years. After their first successful fashion show featuring everyday, casual, comfortable dresses, Armi and clothing designer Riitta Immonen registered the brand, opening the first store in Helsinki in 1953. By the 1960’s Marimekko’s bold prints and fashions had become popular in Finland and abroad. Entrepreneur, creative visionary and talent scout Armi Ratia passed away in 1979 but her living legacy, Marimekko, has survived. Marimekko designs have been spotted on many a famous person including Carrie Bradshaw in a bold bikini. The company has logged an incredible series of collaborations with partners including: H&M, Target, Banana Republic, Converse, Finnair, Manolo Blahnik, and Crate and Barrel. In 1968, Marimekko had some 450 employees. That year Armi was awarded the American Nieman Marcus Award as well as the Order of the Rose, Finland’s highest honor. An honour that my father also received for his services to the Finns of Australia. In 1969 Armi separated from her husband and stepped down as the company’s managing director. However, she returned to the position in 1971, continuing to rework the design line to fit emerging cultural trends, including unisex fashions which proved very popular in the 1970s. 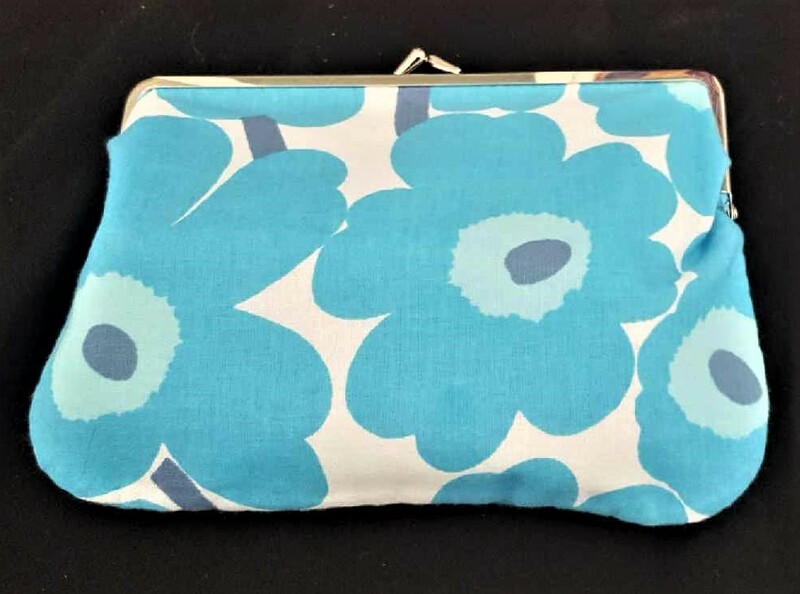 She retired from Marimekko in 1976, and died three years later. Since her death Marimekko has gone through many phases, including a brief downturn. Her heirs continued with the business. In 1985 it was sold but operated at a loss eventually being purchased in 1995 by Kirsti Paakkanen. Marimekko now operates as a viable business with three factories, numerous retail outlets in Finland and exports to Scandinavia, Europe, United States and Australia. It retains its reputation for high quality clothing and accessories. I’m reluctant to use the tea towels as tea towels so they have been sitting in my cupboard. Yesterday I pulled them out again. My friend suggested framing them as wall prints. Problem is I literally have no wall space. So I’m now considering sewing them together as a table runner. Hmmmm…. any suggestions? Your father must have been incredible to have earned such an honor! He studied into the ministry at age 40 here in Australia. He was instrumental in helping to establish many Finnish Lutheran congregations across Australia and acted as a liaison between the Church here and in Finland. Growing up with my parents both being very active in the Church and serving the Finnish community gave us kids a broad understanding and exposure to many shades of humanity. His work, to a large extent, could be described as social work. Many a needy person and family found shelter under our roof. Riali! What an absolutely beautiful and inspiring story! Thank you so much for sharing that. I’m going to walk lighter the rest of the day. How could I do that, Elaine! Wow!! That was quite an honour for your Dad!! I do love the poppies! I did think of that…. I’m not much of a sewer. Zips – no way!